Nashville Fire Hockey presented money raised to a fellow first responder on Saturday after he suffered a horrible injury outside of work. 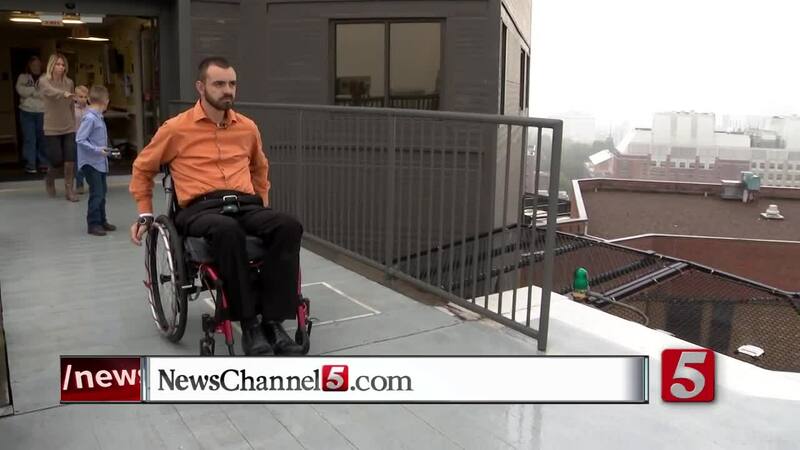 Cole Anderson worked as a paramedic for Vanderbilt LifeFlight and was left paralyzed following the accident, but through support of his family and the community, along with plenty of hard work and perseverance, Anderson has been gaining back the use of his body. “Everybody’s kind of just jumped on board and said, let’s see what we can do to help them, and they’ve really came through," Anderson said of the support of him and his family. That support continued on Saturday when Nashville Fire Hockey presented him with a check for $1,700 to help with his recovery with his wife and two children in attendance. Nashville Fire Hockey started in 1997, and more recently, the team has started playing in tournaments, raising money for those in need every chance they get. “You know, I’ve worked around Nashville fire and worked at Vanderbilt and everything, but to see everybody just kind of pull together for basically a stranger has been pretty touching," Anderson said of the gesture. For those with Nashville Fire Hockey, it was never a question of whether they'd help after they heard about Anderson's injury. “He’s gonna go through a lot of struggles, he’s already been through some and there’s more on the way, and to see him progressing is a good, positive sign," Scott Wrenn, a Nashville firefighter and member of Nashville Fire Hockey, said. The money was raised for Anderson during one of the team's tournaments. They asked for donations for Anderson, and they had auction items present with the proceeds going straight to Anderson. “All the tournaments we go to are charity," Wrenn said, adding that fire departments and other first responders all around the country participate in the hockey tournaments, and they always raise money for those they know are in need, knowing that they could be left in need at any moment. Anderson still has a long road to recovery, and if you'd like to donate money to help in his recovery, you can reach out to Vanderbilt LifeFlight . If you'd like to learn more about Nashville Fire Hockey, the games they play, and the money they raise, you can visit them on Facebook .